One would assume that any country determined to fight ISIL wants to keep its counterterrorism campaign relatively cost-effective but not Washington, it seems. The US is spending $8 million a day on a mission that has so far failed to bring the US-led coalition any closer to its goal of degrading and ultimately destroying the brutal Sunni group in the Middle East. Meanwhile, Moscow’s limited military engagement in Syria costs far less (allegedly up to $4 million) and has proven to be far more successful. US Assistant Secretary of State for Near Eastern Affairs Anne W. Patterson revealed the daily cost of America’s anti-ISIL campaign in Iraq and Syria during a hearing at the House Foreign Affairs Committee on Wednesday. This figure, however, will not remain at this level for long. Washington’s expenditures will likely increase since the White House decided to expand its military presence in Syria. On Friday, the Obama administration announced that approximately 50 special operations troops would arrive in Syria to “train, advise and assist” rebel forces fighting ISIL. Although the White House pledged to keep the mission limited, many fear that Washington’s military presence in Syria will escalate. After all, Barack Obama repeatedly said that no US boots will be sent to the war-torn country. The new strategy is a U-turn on that promise.US Assistant Secretary of State for European and Eurasian Affairs Victoria Nuland provided the estimated cost of the Russian aerial campaign in Syria during the same Congressional hearing. The State Department appears to believe that Moscow is spending $2 million to $4 million each day on its assistance mission. In addition, Moscow is said to be carrying out eight times more airstrikes daily than the US. The US-led coalition has been conducting airstrikes against ISIL targets in Syria since September 2014. The operation has not been authorized by Damascus. 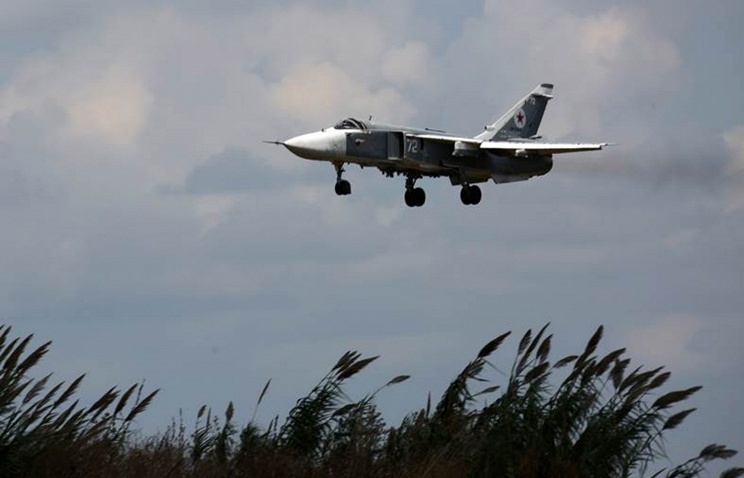 For its part, Russia launched its aerial campaign aimed at assisting the Syrian Army in its fight against radical groups in the country following a formal request from Bashar al-Assad. MOSCOW, November 3. /TASS/. Russian and United States air groups conducted joint exercise on Tuesday to drill skills of pilots and ground services in case of midair proximity over Syria, chief of the Main Department for Operations at the General Staff of the Russian Armed Forces, Gen Andrey Kartapolov said. He reminded that the defense ministries of Russia and the United States signed a memorandum on preventing air accidents in Syria last week. “At eleven in the morning Moscow time today, Russian and US air forces conducted joint exercise to drill skills of interaction between crews and ground forces in case of midair proximity,” he said. Russian Aerospace Forces started a military operation against the Islamic State terrorist group (which is banned in Russia) in the Syrian territory at the request of Syrian President Bashar al-Assad on September 30. The air group in Syria includes more than 50 warplanes, including Su-34 and Su-24M bombers; Su-25 assault aircraft; Su-30SM fighter jets as well as Mi-8 and Mi-24 helicopters. The Russian Navy is also involved in the military operation. The warships of the Russian Caspian flotilla delivered a massive cruise missile strike from the Kalibr-class sea-based missile system on the night to October 7. 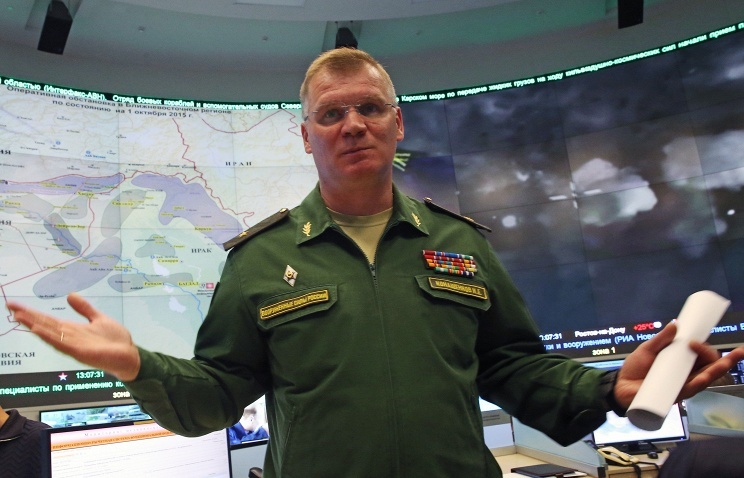 The Russian authorities have totally excluded a possibility of any ground campaign in Syria. The United States has decided to intensify military efforts against the Islamic State in response to Russia’s air campaign and to counter Russian and Iranian influence in the Middle East, former Pentagon official Steven Bucci told Sputnik. WASHINGTON (Sputnik) — On Tuesday, Defense Secretary Ashton Carter said the United States was bolstering efforts to fight the Islamic State a day after reports surfaced that the Pentagon was considering embedding US Special Forces with local units in Iraq and Syria. “There is concern that [Russian President Vladimir] Putin’s support of Iranian policy objectives will destabilize the region, and therefore needs to be counterbalanced,” Bucci said on Tuesday. Russia’s more robust military action, which is primarily intended to support Syrian President Bashar Assad, Bucci claimed, has nevertheless left President Obama’s anti-Islamic State policy looking less than effective. The fact the United States, Bucci added, has spent a lot of time and effort replacing the Soviet Union, which is now Russia, as the major influencer in the Middle East is another contributing factor. On September 30, Russia began an air campaign against Islamic State terrorists in Syria at the request of Syrian President Bashar Assad. Russia, Syria, Iran and Iraq have established the Baghdad Information Center in the Iraqi capital to coordinate intelligence and security cooperation against the Islamic State. MOSCOW, October 22. /TASS/. The first tests of the United States’ missile defense system in Europe were the Pentagon’s response to the successful use of Russia’s sea-launched cruise missiles from the land-locked Caspian Sea on October 7 against military targets of the Islamic State in Syria, polled experts have told TASS. On Tuesday, the United States for the first time held tests under the European missile defense program. In a joint exercise with NATO allies it destroyed a dummy ballistic missile over the northern Atlantic. The commander of the US naval forces in Europe and North Africa, Admiral Mark Furguson, said the exercise demonstrated the United States’ readiness to protect Europe with ships armed with the Aegis missile defense system. Zolotaryov does not believe that the missiles launched in the process of testing the US missile defense in Europe pose any threat to Russia’s nuclear potential, though. “The range of the guided interceptor missile Standard-3 (SM-3) Bloc 1A does not enable it to hit strategic targets inside Russian territory,” Zolotaryov, a former senior officer at the Strategic Missile Force Staff, told TASS. “The United States and its NATO allies are building up its cutting-edge smart weapons potential. The great discrepancy between their potential and Russia’s own capabilities cannot but cause alarm. Potentials’ disparity is always fraught with a risk to security. Russia is on the right track as it builds up both smart weapons and counter means. In fact, the United States and Russia are moving along parallel lines, Zolotaryov said. “That the US has been launching missiles within the framework of NATO exercises does not look like something out of the ordinary to me. Russia, too, has been practicing attacks against ballistic missile targets with its new generation S-400 air defense system. That’s a normal competition procedure,” the president of the Academy of Geopolitical Problems, Konstantin Sivkov, told TASS. 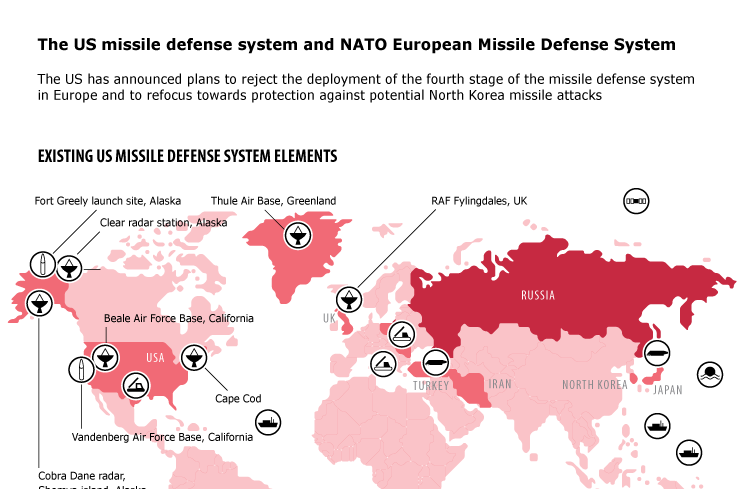 “The United States’ missile defense tests in Europe were a routine procedure to practice interaction between the naval component and the ground-based systems. We, Russian specialists, have seen nothing new in the just-held experiment. The United States was making such tests back six years ago,” Sivkov said. “Naturally, any military exercise is a hint or a warning. In this particular case it is our partners’ response to the use of Russian cruise missiles from the Caspian against Islamic State positions in Syria,” Sivkov believes. “The armed forces of NATO and Russia have the same task of keeping abreast of the world situation. Each country has the right to test its own weapons. And each country is entitled to the right to interpret another country’s actions as a challenge or a threat. 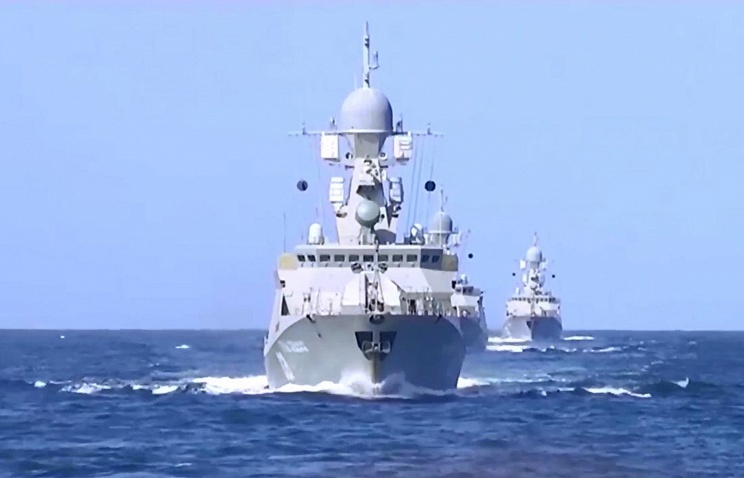 This is also quite normal in the context of the current strained situation in the world,” the deputy director of the Institute of Military-Political Studies, Aleksandr Khramchikhin, told TASS. Turbulence in the Middle East presents an obvious challenge for the Obama Administration, seeking to satisfy all major players in a series of convoluted games. Washington continues to supply weapons to “crucial ally” Saudi Arabia, where coalition airstrikes on Yemen kill innocent people and humanitarian aid is blocked from entry. President Obama and Saudi King Salman met Friday in the Oval Office. The details of their chat remain undisclosed, through various sources earlier hinted arms supplies would be on the table for discussion.Among possible candidates are Boeing’s GPS-guided Joint Direct Attack Munitions, according to Bloomberg. 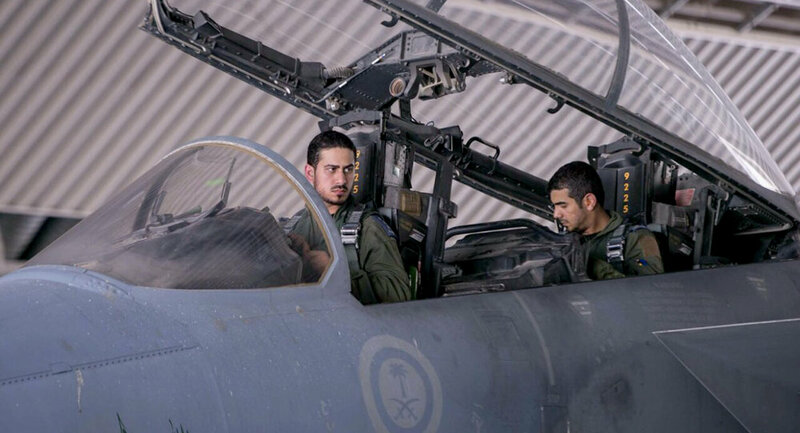 Approved for use in the Royal Saudi Air Force’s F-15s back in 2008, it’s likely they have been used for the bombardment of Yemen this year, which has reportedly claimed the lives of dozens of civilians. There are also numerous reports of the use of internationally banned cluster munition in the airstrikes, which began in March. Reuters reported Wednesday a deal had nearly been reached for two frigates worth over $1 billion to the Saudis by Lockheed Martin Corp. The US recently approved a possible $5.4 billion sale of advanced Patriot missiles to Riyadh, the US Defense Security Cooperation Agency (DSCA) said in a statement in July, the same month US defense contractor Raytheon was awarded a $180 million contract to provide Saudi Arabia with guided air-to-ground missiles. Defense buildup in Saudi Arabia, which became the world’s top arms importer this year, has considerably benefited several American weapons manufacturers. And the US relies on defense contractors to fill the void created by Pentagon budget constraints, as former US Assistant Secretary of Defense Lawrence Korb told Sputnik, adding that the Saudis have increased orders for US missile defense systems out of fear that Iran will grow stronger militarily after nuclear sanctions are lifted. Ahead of today’s meeting with King Salman, Barack Obama announced they planned to discuss Iran, Syria, the self-proclaimed Islamic State terror group, the global economy and energy issues, among others. No mention of any arms sales. As western countries profit from the sales of advanced weapons systems to Riyadh — including American and British warships to maintain a blockade on humanitarian aid to Yemen — they turn a blind eye to what many call Saudi war crimes and the obvious violation of human rights under Saudi leadership at home. “The entire affair is a blatant breach of international law, and an assault on authentic democracy and self-determination,” Canadian writer and activist Stephen Gowans noted earlier this month. On Monday, Amnesty International accused the Saudi-led, US-backed coalition of using internationally banned weapons in Yemen in a report that also lambasted the US for supplying the coalition with intelligence and material support, and the disastrous consequences for local populations the war perpetrates. Reversing a long standing decision by the two countries, the United States and Turkey have announced plans to provide air cover for “moderate” Syrian rebels. While the Pentagon has admitted severe problems in identifying so-called moderates, the new strategy is meant to combat ISIL and to establish a safe zone along Turkey’s Syrian border. While the Turkish government has been lobbying for the establishment of coalition-enforced “no-fly zone” along its Syrian border, the United States has long been opposed to such an operation. According to Al Arabiya News, Davutoglu also promised the Democratic Union Party (PYD) “a place” in the new Syria if it cuts ties to President Bashar al-Assad and pledges allegiance to Turkey. “If we are not going to send in land units on the ground, and we will not, then those forces acting as ground forces cooperating with us should be protected,” the prime minister said. Officials in Washington were quick to downplay the notion that the air cover will in any way establish a formal safe zone. “The purpose of the operation is not to create a safe zone into which Syrian refugees will go,” a senior Obama administration official said, speaking to Reuters on condition of anonymity. The announcement is especially surprising given a Pentagon report from earlier this month that detailed Washington’s difficulties in even identifying a “moderate” Syrian opposition. “We are trying to recruit and identify people who…can be counted on…to fight, to have the right mindset and ideology,” US Defense Secretary Ashton Carter told the House Armed Services Committee last month. That’s because a large portion of that “moderate” opposition is less interested in engaging with the self-proclaimed Islamic State terrorist group, and more focused on fighting Assad’s government. Further complicating the matter is the fact that the Turkish government has been launching a series of attacks against Kurdish insurgent camps in Iraq. “The ongoing military operation seeks to neutralize imminent threats to Turkey’s national security and continues to target Islamic State in Syria and the [Kurdistan Workers Party] in Iraq,” a Turkish official told Reuters, referring to Sunday night’s skirmishes. But while Washington recognizes the PKK as a Turkish target, it remains focused on IS. “PKK is a foreign terrorist organization, Turks have a right to defend themselves against it,” US State Department spokesman John Kirby told Reuters. Last week, the Turkish government announced it was allowing the US to conduct air strike operations against IS out of Incirlik Air Base. While Ankara had previously tried to remain unengaged in the fight against the terrorist group, the death of 32 students in a suspected IS suicide bombing has reversed that policy.